When was the last time you considered whether you’re following all federal and state guidelines for sharps disposal? Are you confident you know the rules for your facility? A number of considerations go into proper sharps disposal – it is much more than safe sharps containers and compliant handling. Container-related sharps injuries still occur despite the fact that Daniels Health and other medical waste companies have spent years designing sharps containers that not only reduce needlestick injuries, but ensure the safety of all healthcare workers, medical waste pickup companies’ employees, and public health. Needlestick injuries transmit numerous diseases. According to the CDC, approximately one in every 300 needlestick or sharps injuries result in HIV infections. Hepatitis B, or HBV virus, can be transmitted form sharps injuries and result in severe liver damage and potentially death. Healthcare workers are also at an increased risk for occupational exposure to hepatitis C virus (HCV) infection due to sharps injury or needlestick injury by approximately 1.8%. With percentages that low, many think that they have nothing to worry about, but what if you’re among the 1.8%? According to a 2017 study (Clinical, Economic, and Humanistic Burden of Needlestick Injuries and Healthcare Workers) hypodermic injections utilizing disposable syringes and needles continue to be the most prevalent cause of needlestick injuries today. Consider that over 20 blood-borne infections have the potential of transmission through needlestick injuries. Considerations for proper sharps disposal and handling of any type of sharps implement (hypodermic, needles, scalpels, lancets, scissors, razors, glass, and so forth) are not limited to the United States population. According to statistics, intradermal, subcutaneous, and intramuscular hypodermic injections are the most frequent. In the United States, these make up just over 35% of percutaneous injection injuries due to disposable syringes. The next highest source of needlestick injuries are suture needles, with needlestick injuries taking place primarily in operating rooms, recovery rooms, or patient rooms (at 35% and 34% respectively). Even with training and access to the safest sharps containers (ones that are leakproof, and puncture-proof), nearly 22% of needlestick injury scenarios occur during or after disposal. The cost of post-needlestick injury can damage any healthcare facilities’ budget with regards to testing, post-exposure prophylaxis, management to avoid potential bloodborne pathogen transmission, as well as short and long-term treatment of chronic blood-borne viral infections. Additional costs are related to replacing staff, counseling, as well as legal consequences. As a leader in healthcare waste management, Daniels Health focuses on sharps injury reduction through waste segregation and compliant medical waste disposal containers. 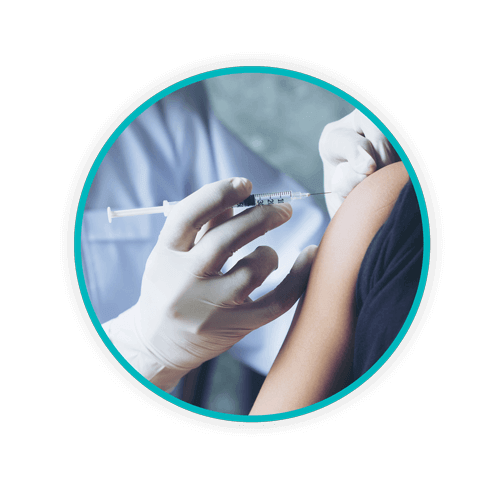 Development of a sharps disposal plan is essential for any healthcare facility or business that uses sharps of any kind including but not limited to: cancer treatment centers, dentists, physicians’, and pharmacies offering vaccinations. The United States Department of Labor’s Occupational Safety and Health Administration provides guidelines applicable to the Needlestick Safety and Prevention Act of 2000, protecting thousands of healthcare employees and workers against healthcare hazards caused by blood-borne pathogens. All healthcare employees should be familiar with OSHA’s Blood-borne Pathogen Standard (29 CFR 1910.1030). For many years, Daniels Health has provided healthcare waste management solutions that reduce sharps injuries by nearly 90%. Our Sharpsmart sharps containers have been clinically proven to reduce needlestick injuries, but we also know that safety issues go beyond sharps container development and proper sharps container placement. At its core, sharps injury prevention is about education. It’s not education just healthcare personnel such as nurses and physicians. Those involved in maintenance, laundry, management and administration need to know the importance of proper waste segregation. Everyone who comes in contact with medical waste needs to know the responsibilities of a medical waste generator. Prevention is the name of the game when it comes to reducing the risk of needlestick injuries. A Needlestick injury is no joke; they can be scary and potentially life-altering. A number of federal and state regulations are in place for healthcare facilities, and they also mandate that needlestick prevention programs are in place at such facilities. In the United States alone, roughly 320,000 healthcare workers experience a needlestick injury annually, most occurring in surgical scenarios or the patient’s room. Treatment for needlestick injuries can exceed $1 billion annually. Can your facility absorb some of those costs? Statistics have shown increasing numbers of patients seeking treatment for infectious diseases such as HIV or hepatitis C, increasing risk of accidental needlestick injury or exposure to large numbers of healthcare workers. Daniels Health is dedicated to reducing needlestick injuries, sharps injuries, through our safe sharps containers. We can recommend optimal sharps container placement in patient rooms, surgical suites, and throughout healthcare facilities in order to reduce risk of sharps injury. For more information on Daniels Health products, services, and guidance, call us today.